Letters from Italy: Pasta, Pastry, Panetone!!! Don’t be surprised if you see me again and I weigh at least 5 kg’s more, as all of sudden my good eating habits has gone out the window. Not only have I discovered that here it is perfectly natural to eat cake for breakfast, but also that pasta is served for lunch and dinner. Not to mention that my new housemate believes in buying everything that is traditionally Italian for me to taste. Today I ate Panetone which is about as traditional Milanese as you can go. 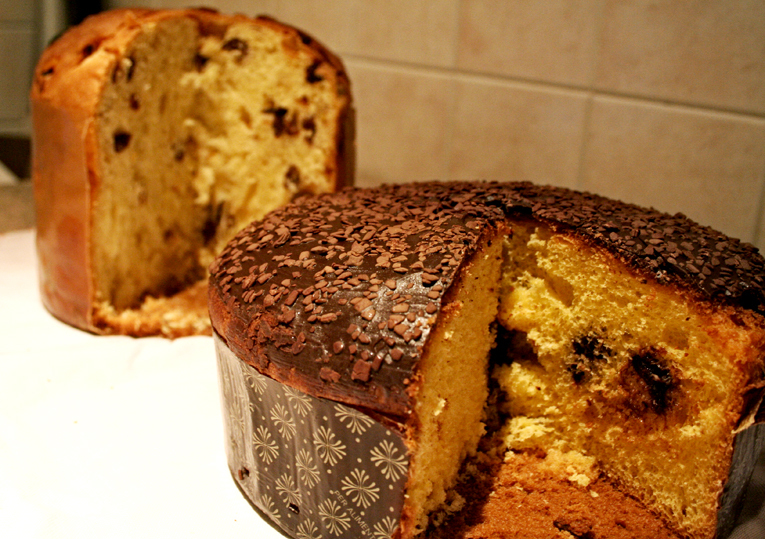 This cake you can buy at the supermarket and is usually eaten on Christmas and New Year with a glass of sparkling wine. My house mate Silvia informs me that people also eat it for breakfast, we had it for lunch. This cake is a breadlike with raisins and citrus peel. There are many fables that tell of the origin of this cake. Now they make it also with chocolate, which I prefer of course ;-).